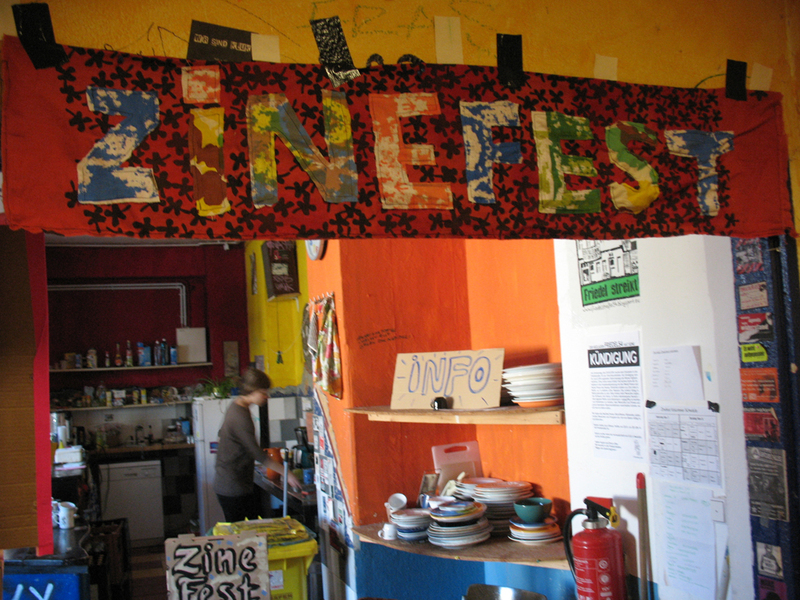 Thank you for a great 5th Zinefest Berlin! We can’t believe that it’s over! (And yes, it took us more than a month to recover ;)) Thanks to everyone who made it possible: the over 60 tables-holders, all the involved workshop-holders, the volunteers that helped running the space, the bar, the info-table, our big craft area and cleaning up after the hundreds of visitors left on Sunday night. THANK YOU! FEEDBACK | We yearn for feedback: What did you like? What do you wish to be different the next time? 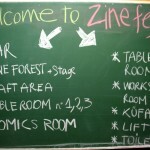 Do you maybe want to get involved and help planning the next Zinefest Berlin? 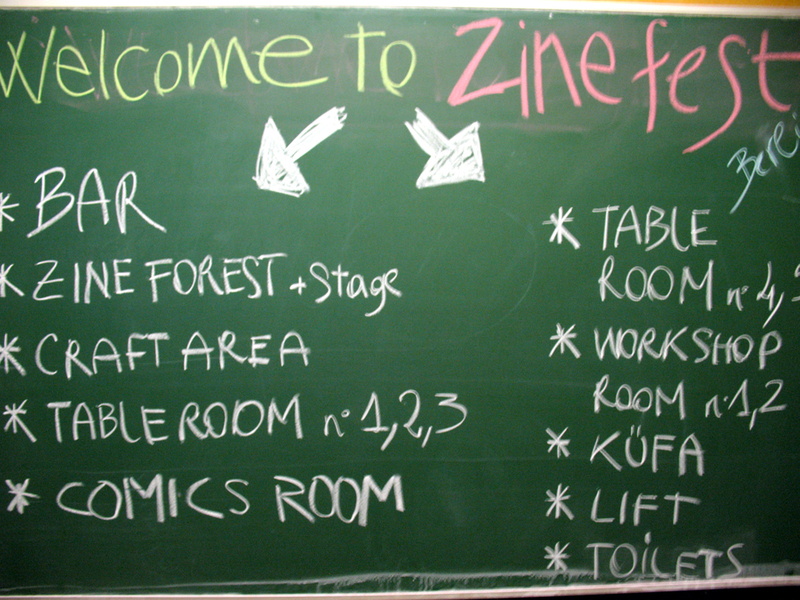 Contact us at contact@zinefestberlin.com. We had an open zine reading with some music on Sturday. Thanks to all the participants. How did you like it? 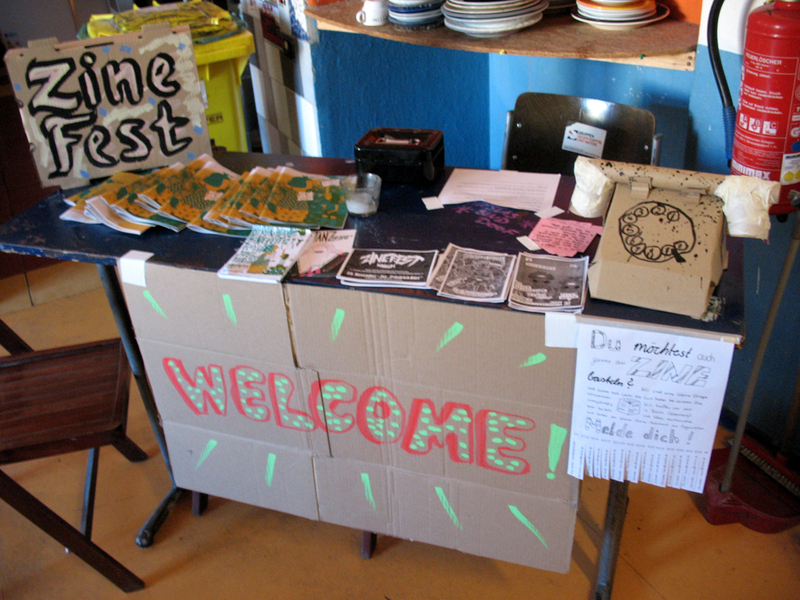 Thanks to ReKult from Amsterdam for this welcoming and inspiring Zine Forest, it was great! 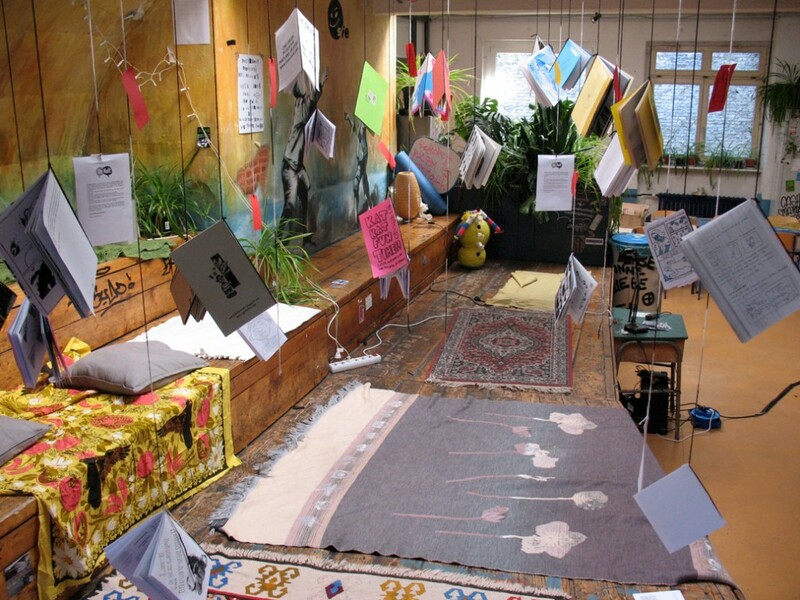 ZINE CURTAIN | We tried a different way to have an open table this year so people without their own table can sell their zines as well. How did you like it? 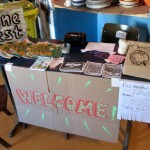 Some of you left their zines and envelopes at the zinefest. We took them with us. If you wish to get them and do remember the number on your envelope contact us at contact@zinefestberlin.com. 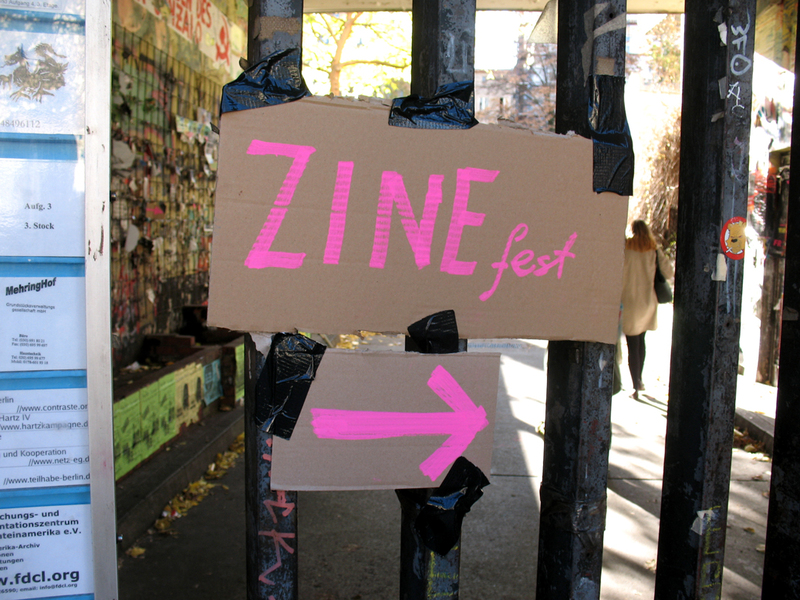 We will keep all of them till the end of January ’16 and then share them with the world and put them on a free-zines-table at a cool zine event soon. 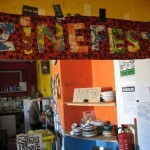 The leftover money will go to the zinefest budget for the next event. 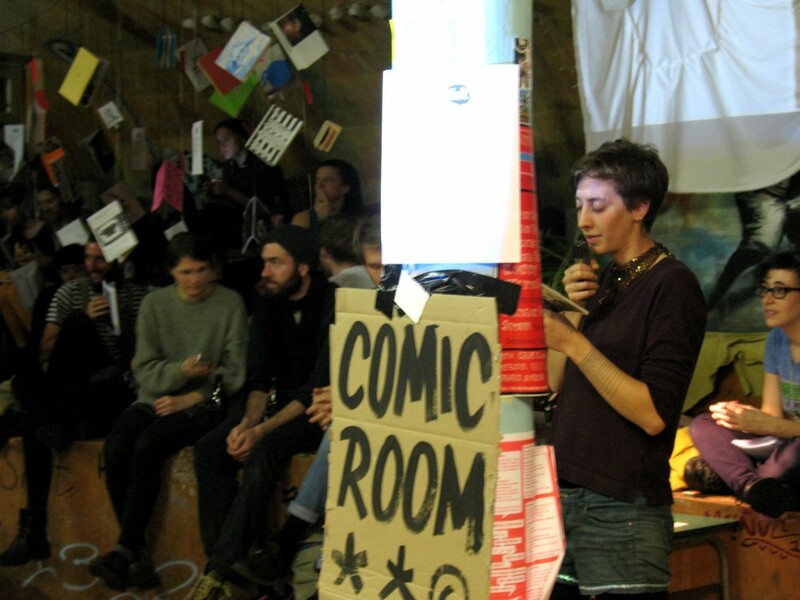 All pictures were taken from Echo, who wrote a nice blog post where you can get some more impressions from Zinefest Berlin 2015!